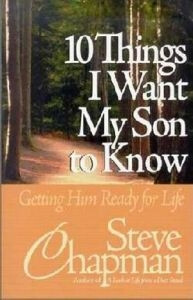 Turning to the "manual" that comes with children (the Bible), best selling author Steve Chapman shares the principles and life wisdom that shaped his attitudes about being a dad and guided him to raising a respectful son dedicated to the Lord. Encouraging fathers to actively engage in the training of their sons, Steve shares some of the parental advice he's garnered through experience and God's Word. Packed with biblical guidance, personal stories, and humorous insights, this book offers men practical information and suggestions for helping their sons become men of God and men of honor.